Ron&Bones: May New releases - Novedades de Mayo. 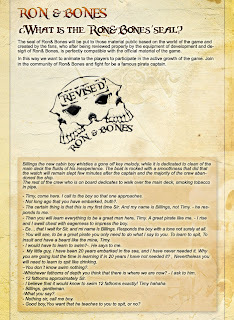 Here you have the last news from Ron&Bones. 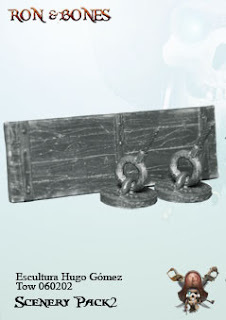 From now you have available a new secenary pack with 2 riggins and 1 Walkway. 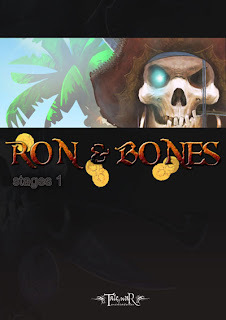 And to finish, here you have 6 new free downloadable stages for enjoy the Ron&Bones sea with you own crew. Hi, guys. This game looks great in many ways, but you really need to get someone who knows English to check all your materials. As it stands, it just makes you look really unprofessional (not to mention uncaring) to have such fractured English on official materials like the rules book. It's fine for the blog to be a little shaky in this department, but when you're spending money to print and distribute something, getting a real translator should be a minor extra cost for a major boost in credibility and in respect shown for your potential players.